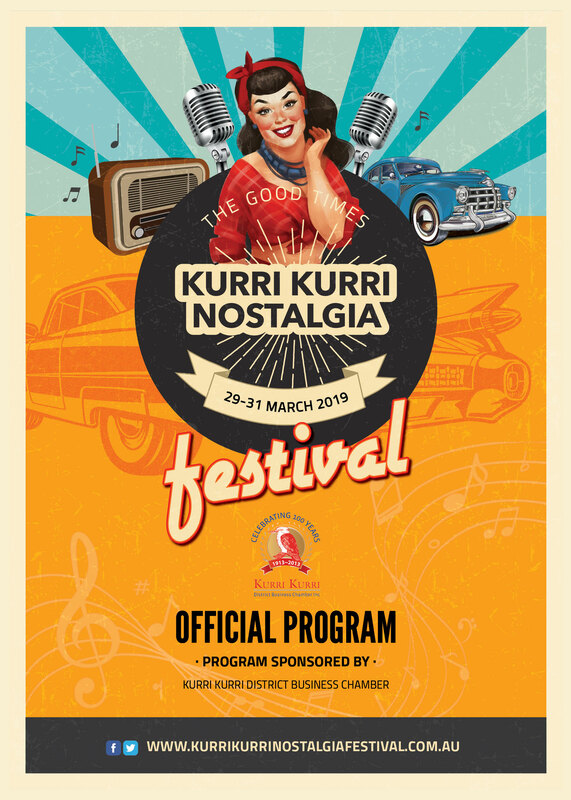 The full Event Program for the 2019 Kurri Kurri Nostalgia Festival is now available. Saturday 30 and Sunday 31 March on the streets surrounding Rotary Park Kurri Kurri. From 8.30am until 4pm on the PRD Nationwide Hunter Valley Main Stage. Saturday 30 March – DJ Gav, Toni & the Rhythm Cats, Buddy Holly tribute (Aaron Mansfield), Chance2Dance, Best Dressed comps. Sunday 31 March – DJ Gav, No Brakes, Buddy Holly Tribute (Aaron Mansfield), Best Dressed Comps. For the full line-up of bands and entertainment CLICK HERE .